Start Your Own Home-Based Business! A Lice Treatment Center® (LTC) franchise provides the motivated entrepreneur with everything needed to compete in the lucrative lice treatment industry. Being a part of LTC’s nationwide franchise system gives you a distinct competitive advantage over others in the lice treatment industry. 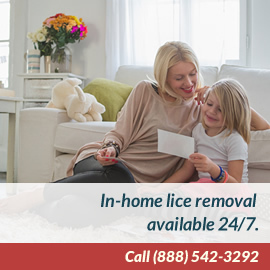 A great livelihood and lifestyle, LTC’s home-based business model is a predictable approach to assisting those dealing with head lice. 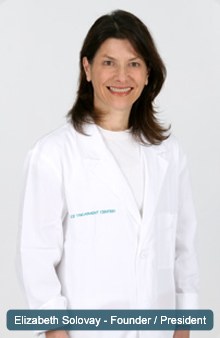 Under the direction of medical director, Dr. Elin Cohen MD, a pediatrician and specialist in the treatment of head lice, the LTC franchise certification program sets the standard for the professional treatment and prevention of head lice infestations. As a result, LTC franchise owners have access to the most effective all-natural products and treatment methods available and avoid devices with only partial effectiveness. More important, because of a well-established history of superior service, our franchisees are positioned to charge a premium for their in-home and on-site services anywhere in the nation. If you are looking for a LOW INVESTMENT HOME-BASED BUSINESS, wish to provide a GREAT COMMUNITY SERVICE and join a brand on which you can PROUDLY BUILD YOUR FUTURE... you owe it to yourself to look into Lice Treatment Center®. LTC Franchise Territories are Available Immediately in the Following States: Alabama, Arizona, Arkansas, Colorado, Georgia, Idaho, Illinois, Iowa, Kansas, Kentucky, Louisiana, Maryland, Missouri, Nebraska, Nevada, New Mexico, New York, North & South Carolina, Ohio, Oklahoma, Pennsylvania, Tennessee, Utah, West Virginia, Wyoming. References/Resources: 1. Mary Wu Chang, MD reviewing Devore CD et al. Pediatrics May 1, 2015. 2. Centers for Disease Control and Prevention (CDC). Parasites: Lice: Head Lice: Frequently Asked Questions. www.cdc.gov/parasites/lice/head/gen_info/faqs.html. November 12, 2013. 3. National Association of School Nurses Pediculosis in the School Community Position Statement. Nit Free Policies in the Management of Pediculosis: Addopted November 1999, revised July 2004. Legal Disclaimer: This website and the information contained herein does not constitute the offer or sale of a franchise. The offer and sale of a franchise can only be made through the delivery and receipt of our Uniform Franchise Disclosure Document (UFDD). There are certain states that require the registration of a UFDD before the franchisor can advertise or offer the franchise in that state. We may not be registered in all those registration states and may not offer franchises to residents of those states or to persons wishing to locate a franchise in those states. This advertisement is not an offering. As offering can only be made by a prospectus filed first with the Department of Law of the State of New York. Such filing does not constitute approval by the Department of Law.